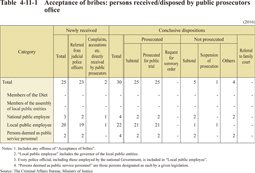 Offenses committed by public officials could include offenses committed under the capacity as a public official or offenses irrelevant to their profession (e.g. Negligent driving offenses causing death or injury). 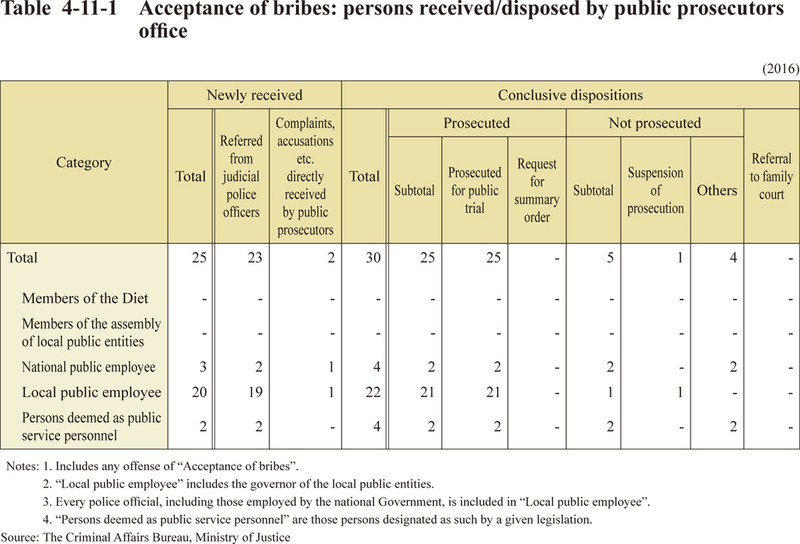 Table 4-11-1 shows the number of public officials received and conclusively disposed by a public prosecutor in 2016 for the former type of offense, acceptance of bribes.